One of the most sensational innovations from the Japanese rubber sheet production in over 10 years! 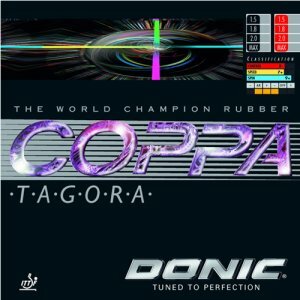 The Donic Coppa Tagora combines all the outstanding playing features of the World Championship rubber Coppa and Coppa Tenero. Tagora has at least the same speed as Coppa and the same outstanding control as Coppa Tenero. The secret is a totally new invention of a highly elastic soft sponge from Japan. Despite the extreme softness it delivers an unbelievable catapult effect. The top sheet is designed for maximum grip and spin elasticity. The result, dynamic topspin, powerful shots, aggressive blocks and plenty of touch for short flips. 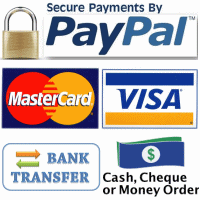 Passive and soft blocks and even balls with under-spin can be easily controlled. Donic Coppa Tagora is the ideal synthetic choice for offensive and allround players.